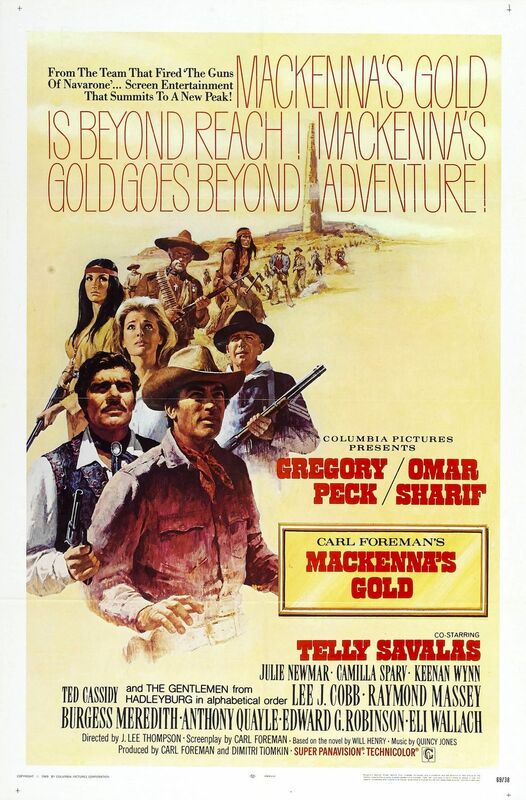 Brief Synopsis – After seeing a map that leads to a valley filled with gold, a sheriff is kidnapped by a group of bandits who force him to show them the way there. My Take on it – This is a film that I had never heard of before and accidentally came across it during my preparation for this series. The premise is quite clever and I love the way that it feels like a quest during medieval times in the way that they keep adding members to the group seeking the gold. Gregory Peck and Omar Sharif are both great in the lead roles and are able to work so well off one another that their love-hate relationship throughout the story constantly comes into question. The characters who join the quest along the way are all quite interesting and diverse so each is quite unique in what they bring to the overall group. This film expertly utilizes narration which helps give the viewer pertinent information about the characters and storyline that would be quite hard to come by any other way. It also helps the story feel more like a fable or fairy tale which adds so much to the story. Bottom Line – Such a clever idea for a western that works really well. Peck and Sharif are both superb as the leads and work so well off one another. They do a great job adding interesting and diverse characters to the quest along the way that adds so much to the composite of the group. The narration works really well to make this story feel more like a fable or fairy tale and is also useful in giving the viewer important information along the way. The supporting cast is extremely talented and even some of the smaller parts are given to recognizable actors in order to help create the illusion that they might be among those that make it to the end of the quest. Highly Recommended!